Bolivia. 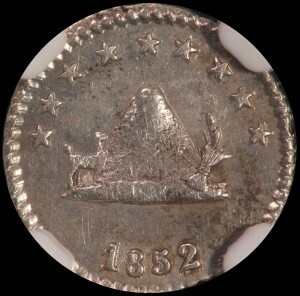 Silver 1/4 Sol, 1852 POTOSI. NGC MS 62.